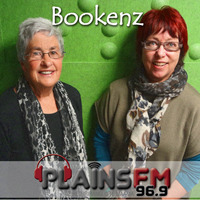 With a life long passion for books and for New Zealand authors, programme hosts Ruth Todd and Morrin Rout utilize their wealth of radio broadcasting experience to bring you Bookenz, a weekly programme that brings you the latest on new books and their authors, from both New Zealand and abroad. Developed as a continuation from the book review segment on “Women on Air” (a programme Ruth and Morrin were involved in for an impressive 20 years! ), Bookenz is bursting with book talk, reviews, interviews with writers and poets, and also news of local literary events. Here in New Zealand we have some of the best authors in the world, and while these writers are recognised overseas they often go unnoticed in their home country! Bookenz supports these New Zealand authors and gives listeners the best new books to add to their library. Join Ruth and Morrin as they interview emerging or existing authors, discussing their best and latest work. For new authors there can be a hard road ahead, and the programme wishes to promote these talented authors. Covering an eclectic mix of books, from fiction and non-fiction to even the occasional cookbook, Bookenz is your programme to discover the next book to curl up with on a sunny Canterbury day. Ruth chats to Fleur Adcock and Morran chats with Peter Wells who sadly died last week. Ruth and Morrin chat to NZ authors. Ruth chats with two NZ authors. Ruth and Morrin discuss and review books with their authors. Ruth and Morrin chat to authors about their recent publications. Ruth and Morrin chat with authors. Ruth and Morrin chat with authors about their books.